Keep your head above water in the O'Neill Reactor USCG Life Vest. It's US Coast Guard approved so you can use it as a PFD on your watercraft, but unlike the old orange rectangles it's built with Anatomical Flex Points in the closed cell PVC Marine Foam core, so you can move freely and without restriction. The Concealed Dual Belt System holds it in place without making you worry about getting caught on a snag, and the heavy duty zipper and overlock stitching make this vest extremely durable. 33"-35" 35"-37" 37"-39" 39"-41" 41"-43" 43"-45" 47.5"-50.5"
"what chest size is 3xl mens "
"The chest size for the 3XL on this vest is 47.5 to 50.5 inches! You can also view our size chart for more information on sizing." "Is this life vest uscga at 50 or 100 mph? " "This vest is USCGA at 50 mph. I hope this information helps!" "Would this be a good vest for jet skiing? " "Thank you for your inquiry. 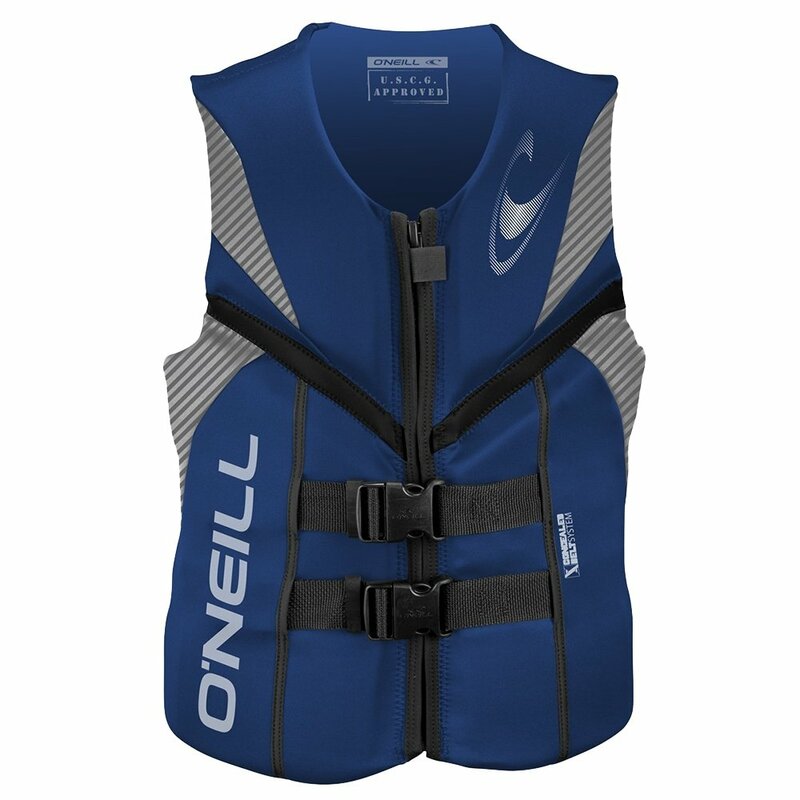 The O'Neill Reactor USCG Life Vest is great for all water sports including Jet skiing. We hope this information helps!"